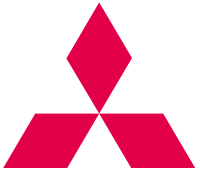 Mitsubishi was one of the first of the zaibatsu, or family-run corporate conglomerates, of Japan. Founded in 1870 by Iwasaki Yataro as a shipping firm, and with the patronage of the powerful Tosa clan, Mitsubishi prospered and diversified into copper and coal mining. In 1884, Mitsubishi leased the Nagasaki Shipbuilding Yard from the government, diversifying into shipbuilding. Like the other zaibatsu, Mitsubishi benefited from favorable tax policies and government subsidies during the Meiji era, which were intended to bring Japan into the modern world. The steel import supply chain of Mitsubishi was taken over by the Japanese government in 1938. Together with poor control of hundreds of subcontractors feeding parts into the production lines, this significantly hinder productivity. The zaibatsu were forced to split up after the Pacific War. However, the historical trend in Japan since has been back to giant government-subsidized corporations, and Mitsubishi is no exception. Mitsubishi Jukogyo K.K. (Mitsubishi Heavy Industries Co Ltd) was the Mitsubishi subsidiary responsible for aircraft manufacture during the war years. Aircraft production originally fell under Mitsubishi Nainenki Seizo K.K. (Mitsubishi Internal Combustion Engine Co Ltd) which was founded in 1920 at Kobe. This was renamed Mitsubishi Kokuki K.K. (Mitsubishi Aircraft Co Ltd) in 1928 and amalgamated with all other Mitsubishi industrial production under Mitsubishi Jukogyo K.K. in 1934. Mitsubishi's aircraft venture was almost immediately successful, winning a contract to produce three types of aircraft for the Navy's first carrier, Hosho. The original Mitsubishi design team was British, being headed by former Sopwith engineer Herbert Smith. Mitsubishi became the leading Japanese manufacturer of aircraft engines and the second leading manufacturer of airframes. The company eventually ran no less than 6 airframe assembly plants and 11 engine manufacturing plants, mostly in the vicinity of Nagoya. The company expanded its aircraft production facilities enormously during the war, tripling its engine manufacturing and quadrupling its airframe production from 1941 to 1944. However, strategic bombing hit the company hard in 1945, reducing productive floor area by 20%. Mitsubishi designed the A6M "Zero" and J2M "Jack" fighters, the Ki-21 "Sally", Ki-67 "Peggy" and G4M "Betty" bombers, and the Ki-46 "Dinah" reconnaissance aircraft. Mitsubishi also produced the N1K2-J "George" under license. Engines manufactured by Mitsubishi included the Ha-43, Ha-102, Ha-104, Ha-112, Ha-214 Ru, Kinsei, Kasei, and Ne 230 engines. Total production from 1941 to 1944 was 12,513 airframes, of which almost all (12,039) were combat aircraft, and 41,534 aircraft engines. These were respectively 17.9% and 35.6% of all Japanese production in that period.